†Father James Quinn (1919–2010), a Scottish Jesuit, was one of the finest and most prolific hymn writers of our time, publishing more than 200 texts, some of which appear in the English-language hymnals of nearly every denomination. 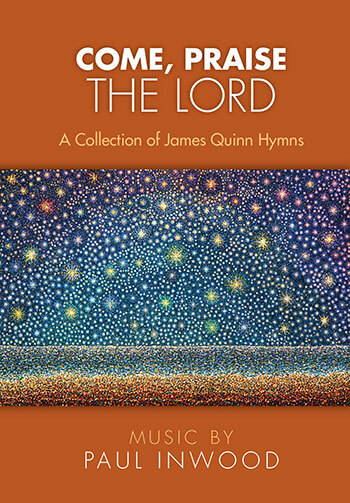 This beautifully designed hardbound book offers all 230 hymns texts from Jesuit Father James Quinn. This collection of works features James Quinn's terse lyricism with compelling musical settings from Paul Inwood. This spiral-bound edition offers all 230 hymn texts from Jesuit Father James Quinn in a convenient book that lies flat for musicians. †Jesuit Father James Quinn (1919–2010) was born in Glasgow, Scotland and educated at St. Aloysius' College in Glasgow and Glasgow University. He joined the Society of Jesus in 1939 and was ordained in 1950. He served as a consultant to the International Commission on English in the Liturgy (ICEL) and spent much of his priesthood as an educator. He was spiritual director at Beda College in Rome from 1976 to 1980. One of the finest and most prolific hymn writers of our time, Fr. Quinn published more than 200 texts during his lifetime. His first collection, New Hymns for All Seasons, was published in 1969. Praise for All Seasons was published in 1994 and included all the hymns from the previous book as well as new hymns written after 1969. 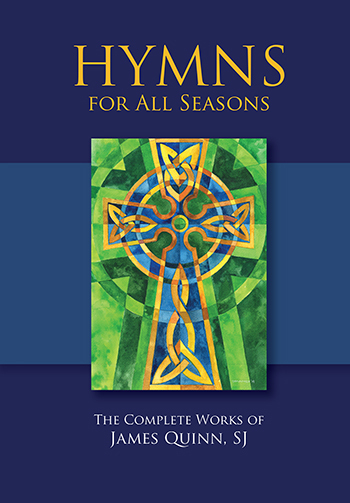 In 2017, OCP published Hymns for All Seasons, The Complete Works of James Quinn, SJ. This comprehensive edition contains every hymn text ever written by Fr. Quinn—including some never-before-seen hymns. Father Quinn died on April 8, 2010, at Saint Joseph’s House in Edinburgh, where he had spent the past ten years of his life.